One of Canada’s three Maritime provinces, Nova Scotia is almost entirely surrounded by water, save a small patch of its border that is attached to neighbouring New Brunswick. In fact, Nova Scotia boasts over 7,600 km of seacoast and beaches are therefore easy to find. Nova Scotia is surrounded by four major bodies of water – the Gulf of Saint Lawrence, the Bay of Fundy, the Gulf of Maine and the Atlantic Ocean. This means that there are plenty of opportunities for a trip to the beach. The northern coast with its white, sandy beaches tends to be a warmer place to swim, as the southern shore faces directly into the Atlantic Ocean. There are many sand beaches along the coast of the province, and waters are often warm enough for a longer dip in the ocean. However, for those who value warmth over everything else, there are also inland lakes throughout provincial parks that offer great options for swimming. For the adventurous beach-goer, Nova Scotia offers rocky beaches for a more rugged experience. 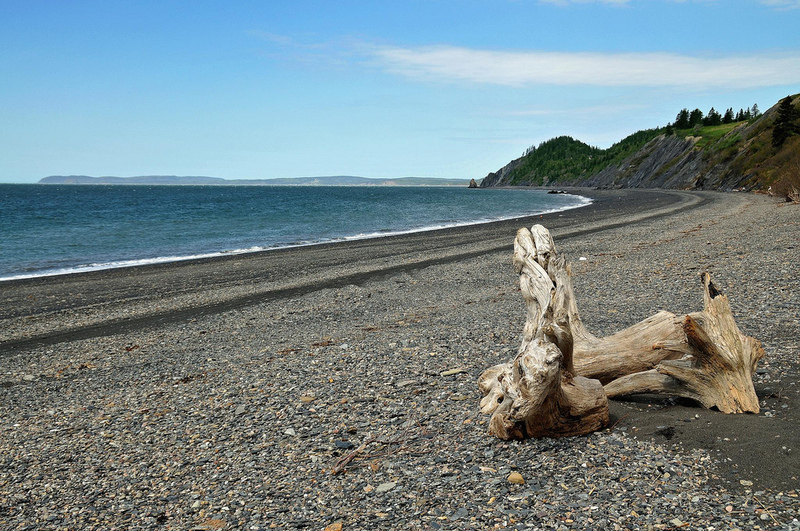 And for those who can’t decide, there is a beach in the Cape Breton Highlands National Park where you can literally walk over a sand barrier to go from salt to freshwater – the Ingonish Beach and Freshwater Lake. Of course, any place with this much access to water has much to offer recreational water users. Diving, paddling, surfing and sailing are all popular activities around the coast. Halifax, the province’s major urban hub, is close to many accessible sandy beaches. Within a little over an hour’s worth of driving, you can reach family friendly, sandy, and clean beaches. They may get crowded in the summer time, so weekdays and evenings are a good time to check them out.